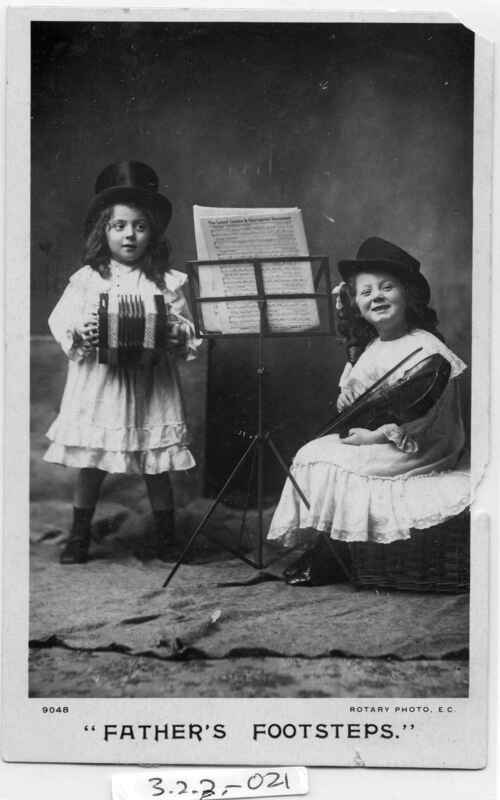 Full Description: One of a series of photographic postcards featuring a trio (occasionally a duo) of young girls in smocks performing a concert, with small poster “A Charity Concert”, with music stands, fancy hats, tin whistle, fiddle and a large German Anglo Concertina. This tinted card in Portrait format has two girls, is labelled “Father’s Footsteps” and is pub: “9048 Rotary Photo. E.C.” Divided rear.